What feels like, because it was, months ago, I attended a workshop about mosaicking. 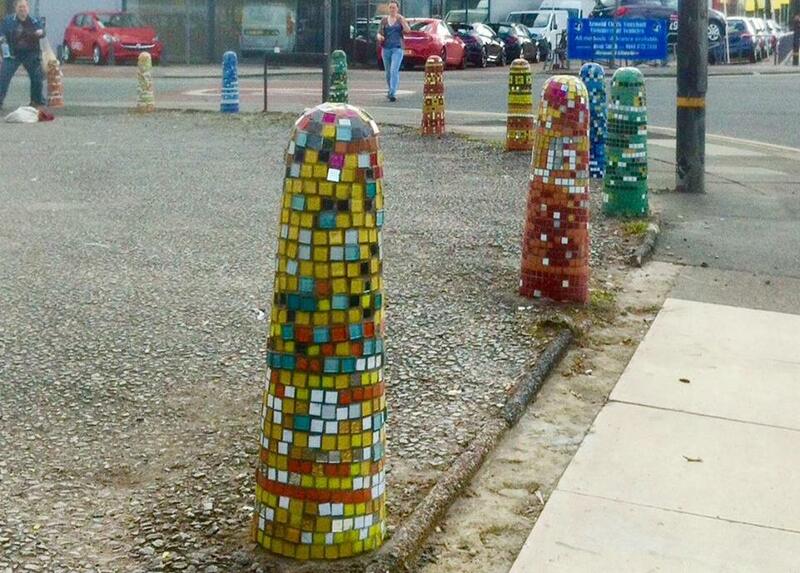 The plans have been for ages to mosaic the bollards outside Stretford Leisure Centre on Chester Road. The spanner in the works was the weather. We needed 3 dry days in a row around a weekend. So just after a rainy, end of August bank holiday weekend (yes, I was camping) we got the good news that dry weather was on the way. Everyone’s diaries had to be adjusted so we had a full day to finally get this done. I arrived, with husband, brother and 2 children just after 9am and found lots of other people getting ready to start. 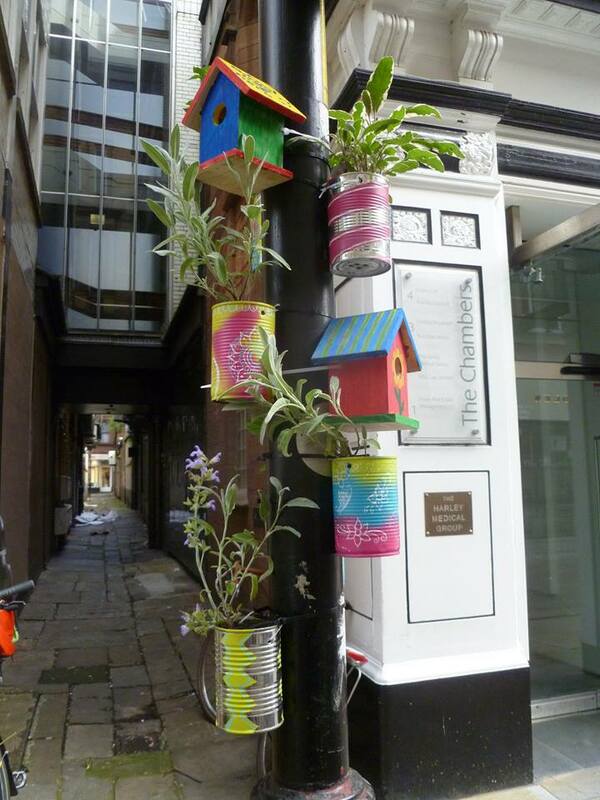 It’s been nearly two months since Dig the City finished, I think it’s taken that long for us all to recover. Those of you who read of blogs will know that Gorgeous Gorse Hill has only been going for two years, a brief moment in the world of community development and barely anything in the life span of tree.